In Austria Cannabis is subject to the Narcotic Substances Act (Suchtmittelgesetz). The classification of cannabis as a narcotic is based on the UN Single Convention on Narcotic Drugs. It is an offense to purchase, possess, produce, import, export or to leave for or distribute cannabis to another. Personal use should not be penalized, in practice however, the consumption is criminalized because it almost always goes hand in hand with possession. An exception to the production of medical cannabis is the Agency for Health and Food Safety (AGES). The AGES is part of state of the Republic of Austria, represented by the Federal Minister of Health and Agriculture. Since a new law in 2008, the AGES is allowed to grow medical cannabis and to sell it to authorized purchasers, usually companies in the pharmaceutical industry. For this purpose, the paragraph § 6a was changed in 2008. Thus, the Austrian state has a monopoly of the production of medical cannabis. 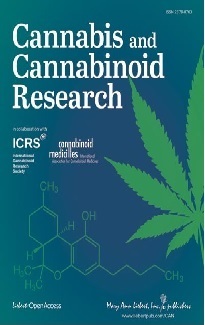 Since the Austrian law, considers only the active ingredient THC as a drug, but not the remaining parts of the cannabis plant, there is a unique legal situation in Europe. Only the cultivation of the cannabis plant, with the intent of "separation of cannabis flowers and cannabis resin from leaves and stems" to produce narcotics is an offense, but not the trade with cannabis seeds and cuttings, as long as they contain no THC. In Austria flowershops have established, which mainly distribute cannabis cuttings as "decorative plants". 3 preparations of [...] cannabis (excluding preparations of cannabis extracts that are approved as proprietary medicinal products) [...] and substances listed in Annex V."
""I will die if I do not continue to smoke cannabis" Gerhard H. said. [...] His defender, the lawyer Kurt Lichtl from Linz submitted a detailed written statement of the Cologne court physician and expert Franjo Grotenhermen, President of the Association "Cannabis as Medicine" to the judge in Wels. The Cologne doctor is sought as a witness: He criticized the prosecution of seriously ill patients for "medicinal use" of cannabis products which are relatively free of side effects and thinks this is a blatant unfair treatment in contrast to other patients, who are prescribed massively addictive, but approved drugs without hesitation. Now Gerhard H. has it in black and white: His cannabis plants are for him a question of survival, the 43-year-old was previously heroin addicted what led to a destruction of his immune system. He got AIDS drugs, but against most of its symptoms such as nausea, weight loss and fungal attack nothing except the hemp plants from his garden could help him, he says. His doctors confirmed this. [...] After numerous previous convictions for illegal cannabis cultivation, in this trial, which has already lasted for 3 years, it was for Gerhard H. a matter of principle. Although the first ruling was a compromise (smoking allowed, growing not), the final ruling was based on physicians' explanations: For Gerhard H. the cultivation of hemp is nothing less than an emergency, therefore the acquittal, which is now legally binding. For all others cannabis growing is still prohibited. MARTHA Hakami OÖN from 30.04.2001 - Page 015"
According to conservative estimates, 300,000 cannabis cuttings are sold per month in the Vienna area. This trade with cannabis cuttings is in a legally problematic zone. Thus these specialized florists are not permitted to distribute information on how to grow and take care of the seeds and cuttings, as in Austria that might quickly lead to a conviction for contributing to narcotic production. There have in recent years been legal judgments with sometimes severe penalties against Grow Shop owners on the basis of their consulting services. The term "production" is often interpreted differently by the courts. Cultivation leads to a judicial sentencing, if the judge finds that smokable cannabis could be harvested. The possession of natural cannabis is illegal even for medical purposes in Austria. However, for the first offense (since the 2008 amendment), if there is no evidence of trade, the prosecutor can drop the charges (See Paragraph §35 SMG). For larger quantities there are stricter penalties (§ 28 SMG) for all offenses, with the exception of the acquisition and possession for personal use. Above personal use means an amount that is at least 25 times the permitted quantity (20g pure THC). For offenses of this magnitude, strict penalties apply, up to 15 years in prison are possible. 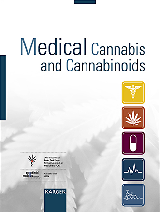 Cannabinoid medicines which are eligible for prescription in Austria are Dronabinol formulations, Sativex ®, Nabilone ®, Cesamet ®, Canemes ® and Marinol ®. Dronabinol, which is available in Austrian pharmacies, is mostly produced from the cannabis grown by the Agency for Health and Food Safety (AGES). The cannabinoid THC is extracted by the German pharmaceutical company Bionorica Ethics from this cannabis. The THC can also be delivered from a second pharmaceutical manufacturer (THC Pharm). Pure dronabinol is prepared in pharmacies for patients usually with sesame oil to enable easy dispensing in drop form or in capsules. There are also alcoholic dronabinol drops, which can not only be taken orally, but also inhaled from a vaporizer. One milligram of dronabinol costs patients about 0.80 EUR, resulting in monthly costs of about 250 to 500 EUR (at daily doses of 10 to 20 mg). One milligram Marinol ® costs about 3-5 euros depending on package size. Unfortunately, the health insurances have a practice of taking over costs in need of improvement. These circumstances lead many patients into the black market because they simply can't afford the horrendous costs for legal cannabis medicines. Da das österreichische Gesetz nur den Wirkstoff THC als Droge ansieht, nicht aber die restlichen Teile und Inhaltsstoffe der Cannabispflanze besteht die in Europa einmalige Rechtssituation, dass nur der Anbau der Cannabispflanze mit dem Vorsatz, durch "Trennung der Cannabisblüten und des Cannabisharzes von Blättern und Stängeln" Suchtmittel zu gewinnen, strafbar ist, nicht aber der Handel mit Cannabis-Samen und Stecklingen auch von hochpotenten Cannabissorten, solange diese kein THC beinhalten. In Österreich haben sich aus dieser Situation heraus Blumenhandlungen etabliert, die hauptsächlich Cannabisstecklinge als Zierpflanzen vertreiben. 3. Zubereitungen aus [...] Cannabis (ausgenommen Zubereitungen aus Cannabisextrakten, die als Arzneispezialitäten zugelassen sind), [...] und den im Anhang V dieser Verordnung angeführten Stoffen." Viele international renommierte Mediziner setzen sich für das praktisch nebenwirkungsfreie natürliche Cannabis als Mittel gegen Schmerzen und andere Beschwerden etwa bei Krebs- und Aidspatienten ein - als immerhin gesündere Alternative zu dem sonst anstandslos in rauen Mengen verabreichten starken Tobak, süchtigmachenden Opiaten wie Morphium. Nach zahlreichen früheren Verurteilungen wegen verbotenen Hanfanbaus ging es im letzten Prozess, der sich seit mehr als drei Jahren hingezogen hatte, für Gerhard H. ums Prinzip. Wurde im ersten Rechtsgang noch ein Kompromiss daraus – Konsum erlaubt, Anbau strafbar, so stützte sich der zuletzt zuständige Richter beim Bezirksgericht Wels auf die Ärzte: Für Gerhard H. lag beim Hanfanbau eben Notstand vor, daher ein Freispruch, der inzwischen rechtskräftig ist. Für alle anderen ist Cannabis züchten aber weiterhin verboten. VON MARTHA HAKAMI OÖN Hauptausgabe vom 30.04.2001 – Seite 015"
Der Besitz von natürlichem Cannabis ist auch für medizinische Zwecke in Österreich illegal. Allerdings wird beim ersten Vergehen (seit der Novelle 2008), wenn keine Beweise für Handel vorliegen, in der Regel seitens der Staatsanwaltschaft von der Strafverfolgung abgesehen (Vgl. §35 SMG "Die Staatsanwaltschaft hat [...] von der Verfolgung einer Straftat nach den §§ 27 Abs. 1 und 2 oder 30, die ausschließlich für den eigenen persönlichen Gebrauch oder den persönlichen Gebrauch eines anderen begangen worden ist, ohne dass der Beschuldigte daraus einen Vorteil gezogen hat, unter Bestimmung einer Probezeit von einem Jahr bis zu zwei Jahren vorläufig zurückzutreten."). Bei großen Mengen gelten für alle Delikte, mit Ausnahme des Erwerbs und Besitzes für den Eigenbedarf, strengere Strafdrohungen (§ 28 SMG). Übergroß ist eine Menge, die mindestens das 25fache der Grenzmenge (20g reines THC) ausmacht. Für Delikte in dieser Größenordnung gelten besonders strenge Strafdrohungen, bis zu 15 Jahre Haft sind möglich.